Whenever I return back toMelbourne, I always find it a must eat the green lip abalone.Australia(Tasmania) alone exports close to 25% of the world abalone harvest. 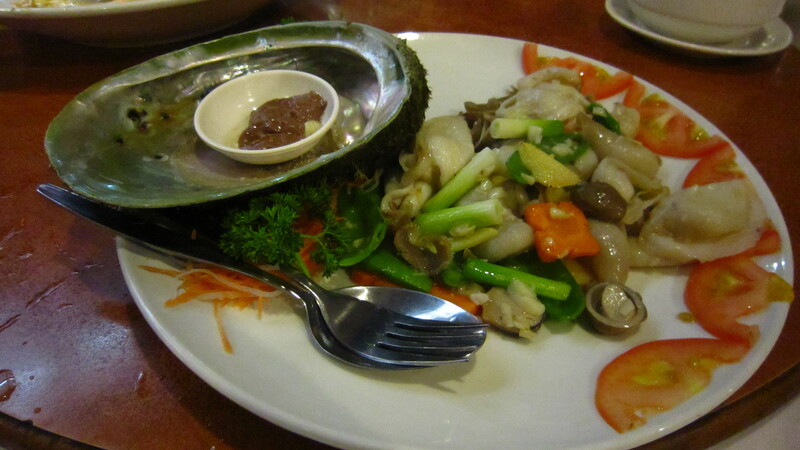 Hence, I think it is the reason why it is cheaper to consume this delicious fresh sea-snail there. 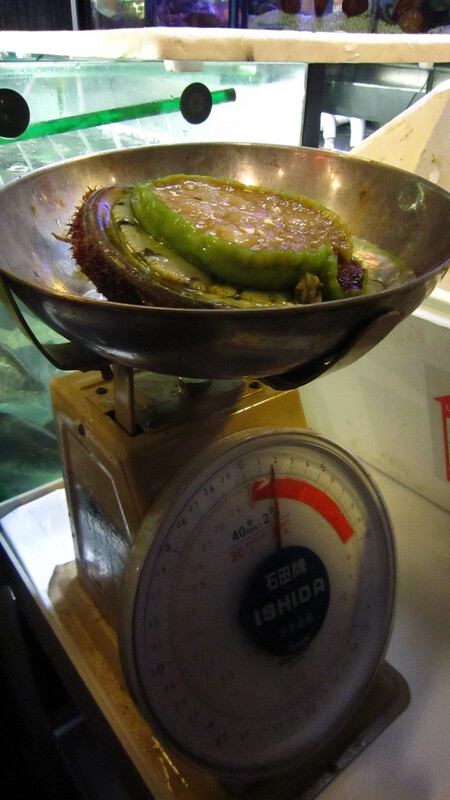 The abalone we had is just slightly under 2 lbs with the size of 180-190mm. InAustralia, the rule is it must be bigger than 145mm before it is allow for harvest. And if you purchase a fishing license (from any convenient store / petrol station) for about AUD 15-20, you can dive and harvest your own abalone. I think the limit is 2 per person / license. There’s many way in preparing this meat. 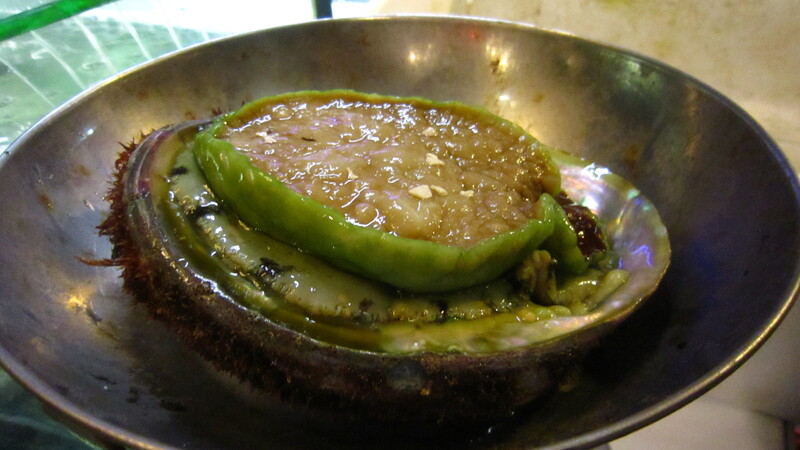 My favourite is call “yao-pau” (toss with oil). The meat is sliced thinly and then rinse quickly with very hot oil. Then, vegetable are stir-fried with same sauce before the cooked meat is throw in to be tossed around. It is immediately scoop out from the wok to be served. If the meat is even slightly over-cook, it will become very tough and rubbery.